Adjustable elastic head band. If you're local and want to collect, cash on collection is fine. 3 light modes: full power, low power, strobe. Energizer Vision HD LED Headlight Head Torch Worklight Sports, Fishing, Outdoors etc Inc. Genuine and Origila Energizer product. Extra bright and tough headlight / head torch / work light. 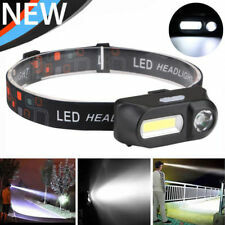 Energizer Vision HD headlight with elastic headband. 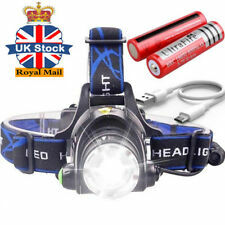 1 x T6 90000Lm Headlamp. Brightness: 90000lm. Camping Tactical 30000LM T6 LED Headlamp 18650 Headlight Head Lamp Torch Light. 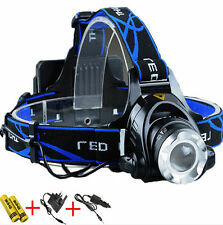 21/12 LED Super Bright 4-Modes Headlight Camp Hiking Fishing Headlamp Torch. COB LED Headlamp/torch camping,fishing,hiking AAA batteries 3 modes super bright. Strong, weak, flash, three different illumination modes. Stalls: 3 modes. 1 COB LED to provide a strong, clean lighting. It is practical for outdoor activities like camping or trekking, or for travelling, and also for daily activities and projects around the house. With a stretchy headband, it will ensure maximum comfort and can be easily adjusted with one press of a button. 100% XM-L L2 Tactical&MIlitary Flashlight!Do not Miss!! X800 SHADOWHAWK 20000LM Waterproof XML L2 LED Police Tactical Police Flashlight. The X800 XM-L L2 flashlight is made of indestructible aircraft aluminum. About The X800 Flashlight ThePhixton is currently more and more popular tactical flashlight of choice due to it's powerfully disorienting "strobe mode" that allows the user to flash a blinding strobe light into the attackers eyes, leaving them "disoriented beyond belief.". One Button Switch (4 Modes): 1 x CREE XM-L T6 / 2 x CREE XM-L T6 / 3 x CREE XM-L T6 / Flashing. 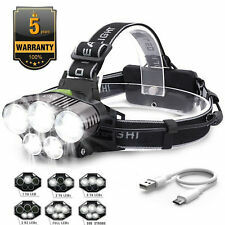 Function: 3 x CREE XM-L T6 LED Headlamp with 4 Modes. LED Model: CREE XM-L T6 LED. 90° Adjustable Headlight, Very Convenient;. The petzl headlamp tikkina can be used for different outdoor activities. The headband is adjustable for different head sizes. TRIXES 6 LED Adjustable Headband Light Camping Walking Hands Free Safety Torch. Kindle Accessories. It features 6 bright LED lights so you can easily be seen. Furthermore, it is so light you won#t even notice you are wearing it. 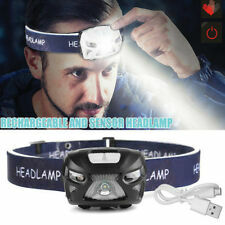 1x Headlamp. -Lightweight, compact, highlighted in one. Head lace with Lycra ingredients, wear comfortable. -Lightweight, compact, easy to use and simple. -Life waterproof, rain, corrosion! -Wear and decay, is good enough, feel good, non-slip in place, fully waterproof design, O-ring seal waterproof. Ultrafire Tactical 15000LM LED Flashlight Torch Lamp T6 Zoomable Focus Light. 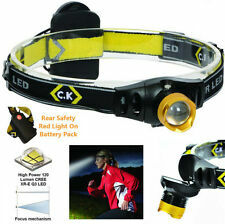 1 x XM-L l2 15000Lm Headlamp. Brightness: 15000lm. Outdoor Tactical LED T6 50000LM Lamp Flashlight Zoomable Torch 5-Mode 18650.